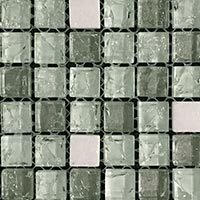 Comprising of a small square format and silver colour, these glass mosaics provide interiors with a unique look. 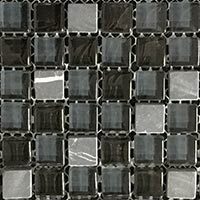 The mosaic squares alternate between those with a plain silver design to those with a diamond shaped feature. 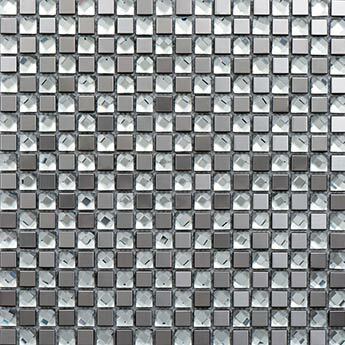 Create a stylish feature in your home with these glass mosaic wall tiles. 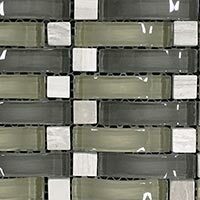 This versatile option can be incorporated within a backsplash wall feature in bathroom shower areas or as part of a border. 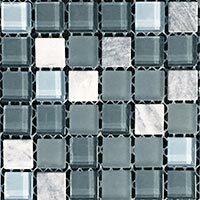 They complement standard white tiles extremely well. 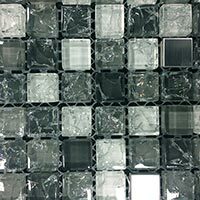 If you are interested in acquiring these glass mosaic mirror tiles for your next project then we highly recommend that you order a sample. This will enable you to see how they look as part of your chosen layout.